The theme of this year’s African American History Month, “Honoring Black Women in American Culture and History,” is an irresistible opportunity to highlight two books that tell the story of significant women in Oregon's history. Kimberley Mangun's A Force for Change, winner of a WILLA Award, explores the life and work of African American journalist Beatrice Morrow Cannady, one of Oregon's most dynamic civil rights activists. The Oregon Historical Society's African American History Month page includes a link to a photograph of Beatrice Morrow Cannady. The Oregon Encyclopedia also has an informative page on Cannady—and both sites have many more resources to explore. On February 14, the state of Oregon marks 153 years. This coming week some of our Portland-area colleagues and collaborators are offering fabulous opportunities to toast Oregon's rich history. On Monday, Feb. 13, 7 pm, noted historian Richard Etulain—who contributed the foreword to Eileen O'Keeffe McVicker's Child of Steens Mountain—presents on "Abraham Lincoln and the American West During the Civil War Era" as part of the Oregon Encyclopedia's History Nights series. 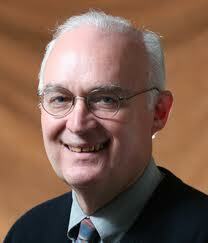 His talk happens at McMenamin's Mission Theater, 1624 NW Glisan, Portland. Come one, come all to a combined celebration of Oregon's birthday and a release party for The Bear Deluxe Magazine #33 on Tuesday, February 14th—the party begins at 6 pm. 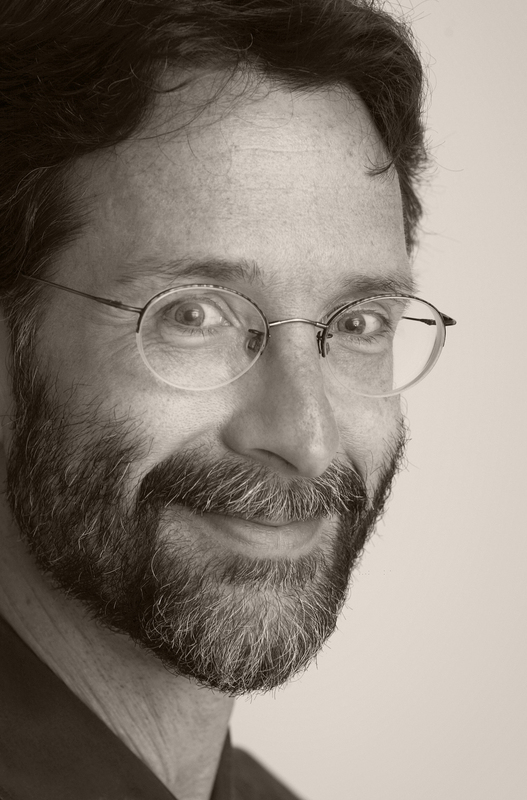 "An Oregon Valentine" features author Brian Doyle and others. Festivities include Valentine card-making, author readings, birthday cake, and open mic valentines and prizes. You are invited to bring along your valentine or make one up at the event. Prepare for a full evening of fun: 6-7 pm reception and Valentine card making; 7-8:15 author readings; 8:15 birthday cake; 8:30-915 open mic valentines (152-word limit); 9:15-9:30 reception and prizes. The party happens at Zoomtopia and the Mouth Studio, 810 SE Belmont, Portland. It's sponsored by Orlo, the Oregon Cultural Trust Heritage Commission, OSU Press, and the NW Film Center—and it's free! After exemplary service, Oregon State Librarian Jim Scheppke—whom OSU Press is proud to welcome to our Editorial Advisory Board—stepped down at the end of 2011. All are invited to a celebration of his many contributions to our libraries and literary life at a free event in Central Library's U.S. Bank Room, 801 SW 10th Ave, Portland, on Wednesday, February 15. The reception starts at 6:15 pm; the program—which features Oregon Poet Laureate Paulann Peterson, Oregon Library Association President Abigail Elder, Multnomah County Director of Libraries Vailey Oehlke, poet David Hedges, and Oregon Cultural Heritage Commission President David Milholland, along with surprise guests—begins at 7 p.m. The Oregon Historical Society is offering free admission on Tuesday, February 14 to celebrate Oregon Statehood Day. 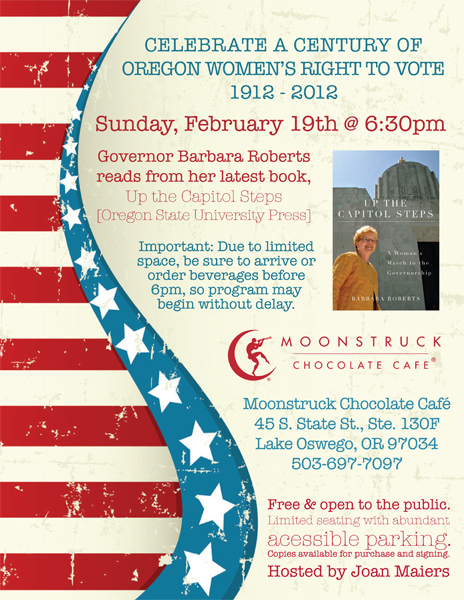 Drop by at noon to meet former Governors Victor Atiyeh and Barbara Roberts and to enjoy a piece of 153rd birthday cake. Check out all of OHS's rich offerings celebrating Oregon history. Then on Sunday, February 19, Barbara Roberts returns for a 2 pm conversation with OHS's Kerry Tymchuk, who will interview the former Governor about her amazing life and career. On a final note, if all of these birthday parties whet your appetite to know more, OSU Press has a book coming this spring just for you. 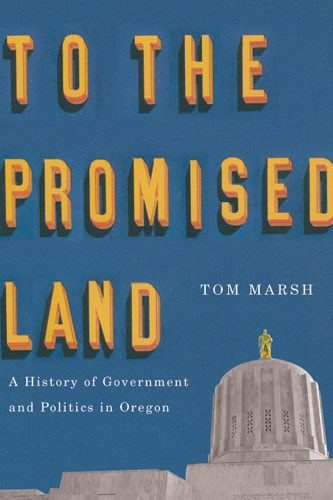 Tom Marsh's history of Oregon government and politics, To the Promised Land, will be available in May. Monday, February 6, 1 to 3 p.m.
After several years struggling with cancer, the author of a forthcoming OSU Press book passed away in December. Dr. Kingston, who was an associate professor of anthropology at Oregon State University, was in the process of finalizing the manuscript for her book “Niglarugut Ugiuvangmiuguruagut: We King Islanders are Wolf Dancing," part of the First Peoples: New Directions in Indigenous Studies initiative. Read their blog post about Deanna.